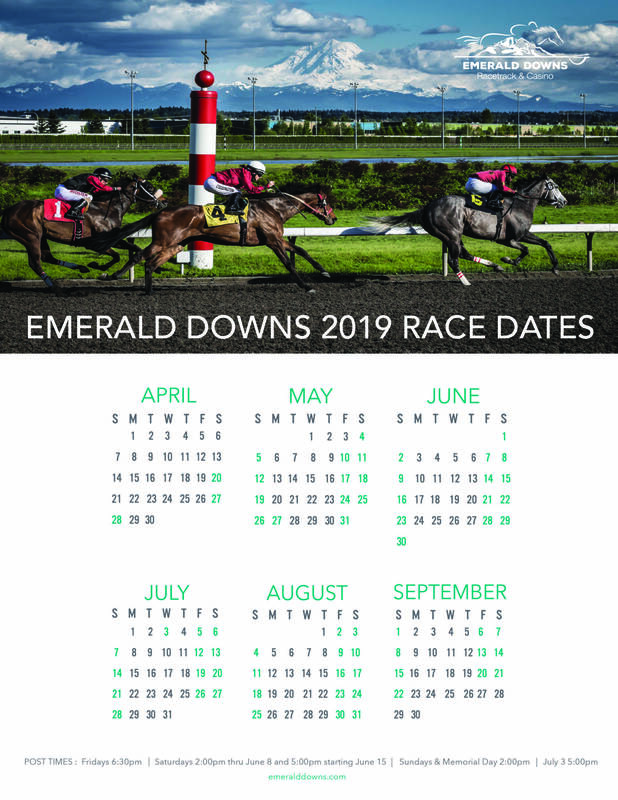 AUBURN, Wash. (January 30, 2019) – Emerald Downs Racetrack & Casino announced a 27-race stakes schedule worth an aggregate $1,550,000 in purses for the 2019 racing season that begins Saturday, April 20. The 84th renewal of the $200,000 Longacres Mile (G3) on Sunday, August 11—the earliest date ever for the Northwest’s premier race—anchors a Championship Sunday quadruple-header featuring championship races in four separate divisions. 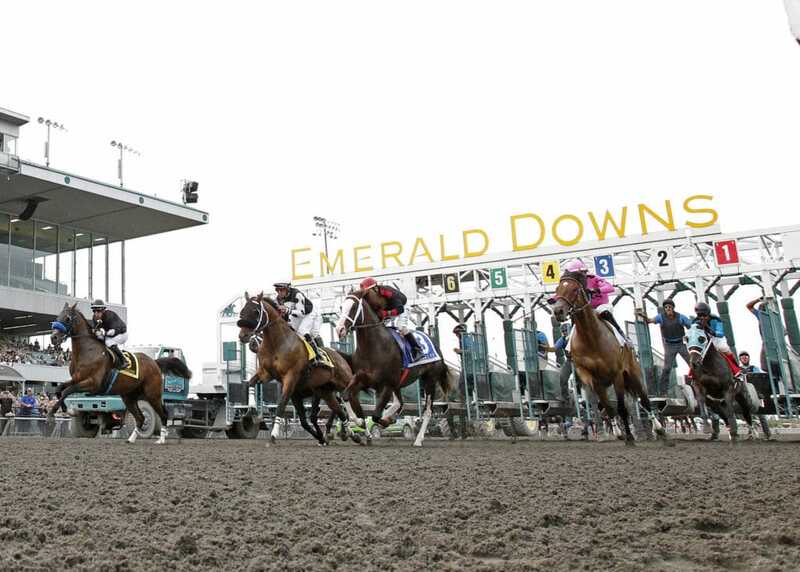 In addition to the Longacres Mile for 3-year-olds and up, August 11 features the $50,000 Emerald Distaff for older fillies and mares, the $50,000 Muckleshoot Derby for 3-year-olds, and the $50,000 Washington Oaks for 3-year-old fillies. With the Distaff, Derby and Oaks all carded at 1 1/8 miles, the day features an unprecedented four two-turns stakes events. The Xpressbet Washington Cup—six stakes for Washington-breds worth an aggregate $300,000—features stakes double-headers on September 1, 8 and 15. The new WA Cup format was an instant hit in 2018 with average field size of 8.2 runners. At 1 1/16 miles, the Gottstein is the lone route stakes for 2-year-olds and scheduled on closing day, Sunday, September 22. The race offers $100,000 in total purse money, including $50,000 to eligible Northwest Racing Series horses. Non-eligible horses can be made eligible for NWRS funds via a $5,000 supplemental nomination which would be added to the Gottstein purse. Indian Relay Racing also returns in 2019. The fourth annual Muckleshoot Gold Cup—featuring Indian Tribes from throughout the western United States and Canada—is scheduled Friday, June 14, Saturday, June 15 and Sunday, June 16. Each day features three heats, with total prize money $65,000 for the three-day event. The stable area opens Friday, February 1, with training beginning Monday, February 4. The Quarter Chute Café opens Monday, February 4.